We like simple solutions and hope for that silver bullet… Wouldn’t it, indeed, be nice to not change anything – just add one weird food, and one day you will wake up and not need any HBP medications. And why not. 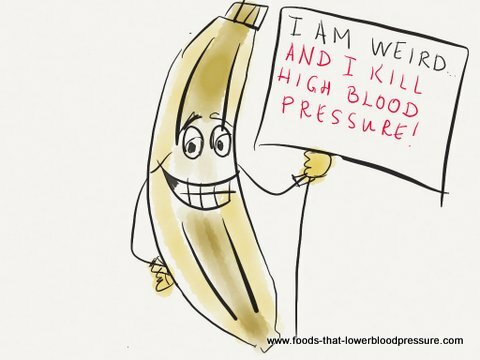 After all, researchers constantly find out that some individual ingredient reduced blood pressure by several points. Unfortunately, life is more complex than that. That’s why after hoping and trying, I settled on using a dietary approach called DASH rather than adding just one individual ingredient. A book that has confirmed this intuitive finding was called “The China Study”. Though The China Study calls for complete exclusion of animal protein from your diet and adoption of a plant-based diet, there are dietary approaches that are targeted to specific illnesses and are less strict. DASH diet is one of them. So instead of spending your precious time in pursuit of one weird food to lower blood pressure, why not try DASH diet plan and see if it works for you? You can download a free sample of a 1200 calorie DASH diet plan and start experimenting. DASH is an effective way to reduce blood pressure, especially coupled with low sodium diet, exercise , weight control, and relaxation.